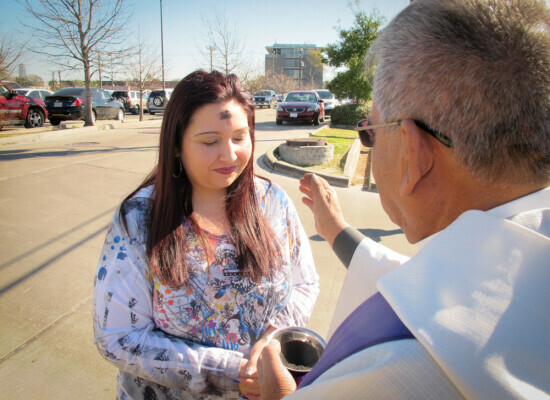 On Ash Wednesday, churches across the Diocese of Texas took the imposition of the ashes out into the streets for Ashes To Go. 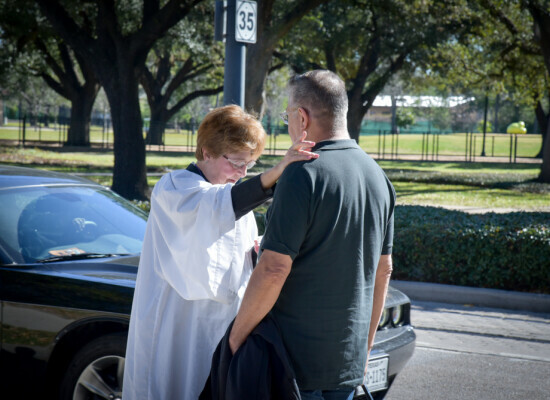 From Beaumont to Austin, Pflugerville to Spring, vested clergy and lay parishioners spent the morning blessing people that may not have normally stepped inside a traditional church building. 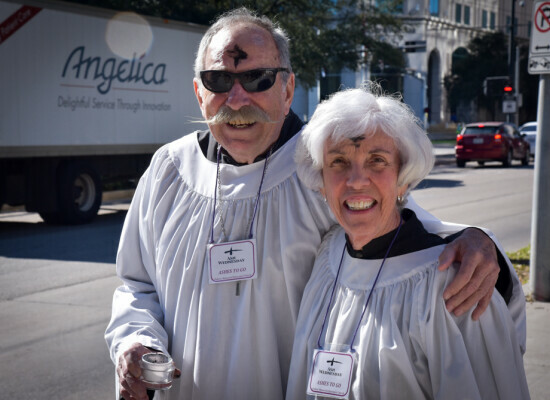 The imposition of ashes marks the first day of the Lenten, and therefore penitential season. 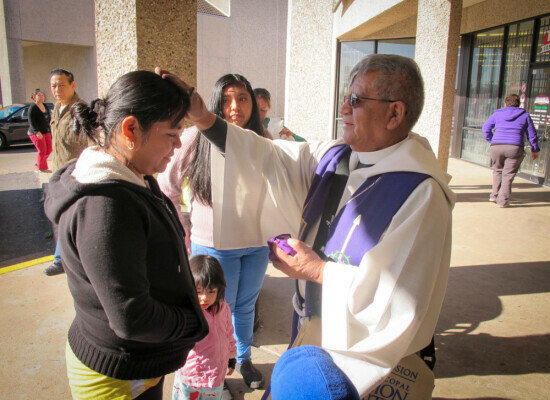 According to a recent article in Time Magazine: “The practice of Ash Wednesday dates back to the 11th Century,” says Lauren F. Winner, a priest and assistant professor at Duke Divinity School. 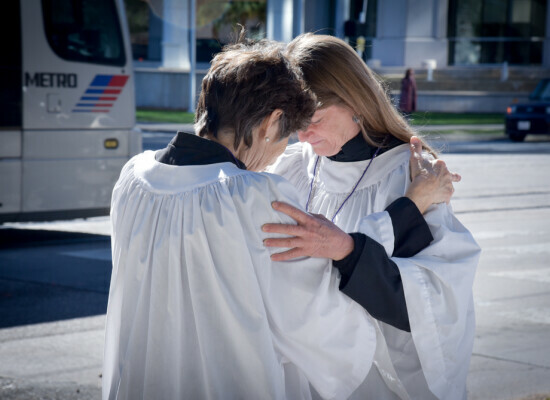 “You see that in the book Daniel in the nine chapter there’s a line about associating fasting with ashes, so ashes are associated with penance, which is the dominant theme of Lent.” In the Ash Wednesday service from the Book of Common Prayer, Episcopalians are reminded of their mortality. 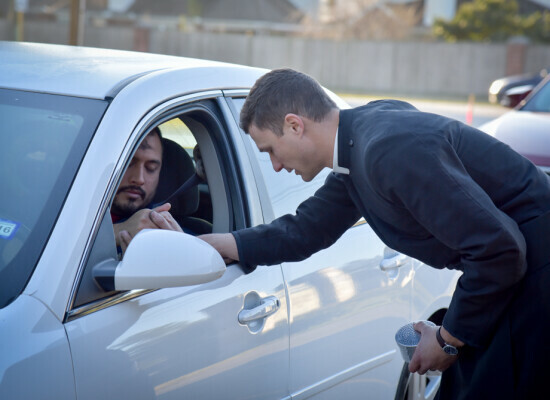 “This has definitely been an outreach for us,” said the Rev. Jimmy Abbott, rector of Holy Comforter, Spring. 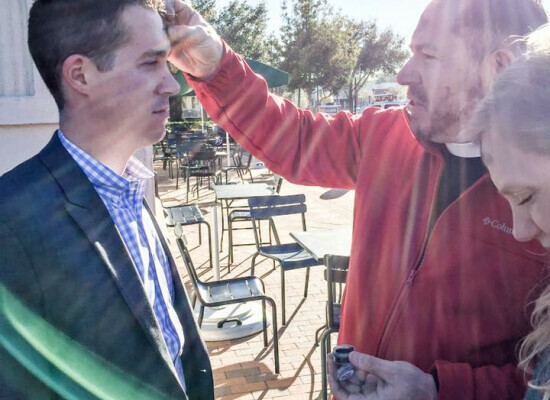 “Actually, the person who is running our capital campaign this year came to us because of Ashes To Go.” Holy Comforter sits on a major street in Spring and every year they place signs for Ashes to Go for passing motorists to see. “We get a lot of people who see the signs and stop in before or after work since they don’t have time to make to a service,” Abbott said. 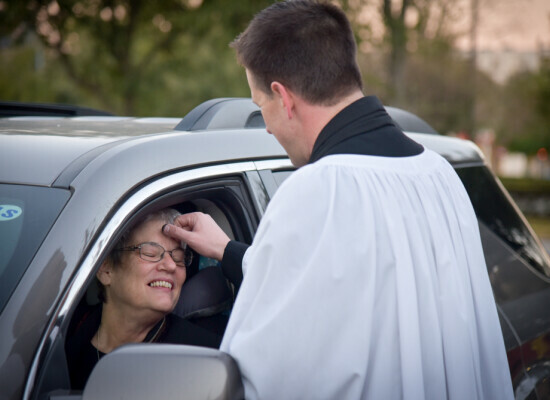 As each car pulled up, Abbott explained what he was doing and then marked the sign of the cross in ashes on their forehead before offering a prayer and giving them more information about the church. Local Christian radio station KSBJ even came out to see what was going on. In Houston, the Rev. 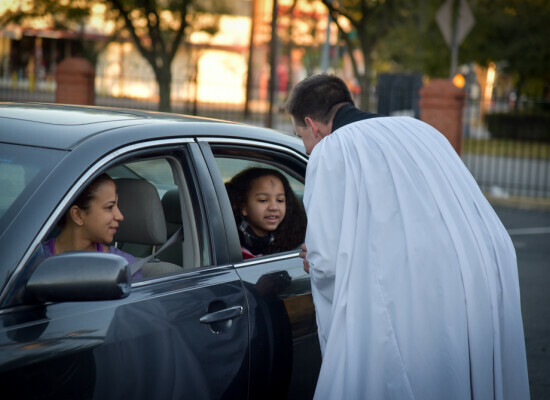 Jimmy Grace waited patiently at 7 a.m. as cars trickled into the parking lot of St. Andrew’s, The Heights. “This is our first [time] to do this in an organized fashion,” Grace said. 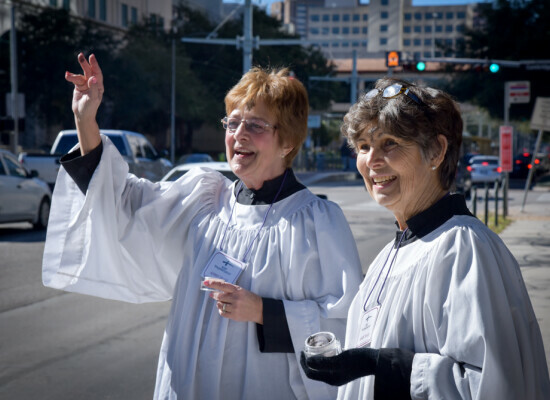 “We’re really excited just to be a blessing in the community.” Armed with breakfast tacos and coffee, Grace served parishioners and non-parishioners alike, stopping to pray with people for anything that was on their heart. 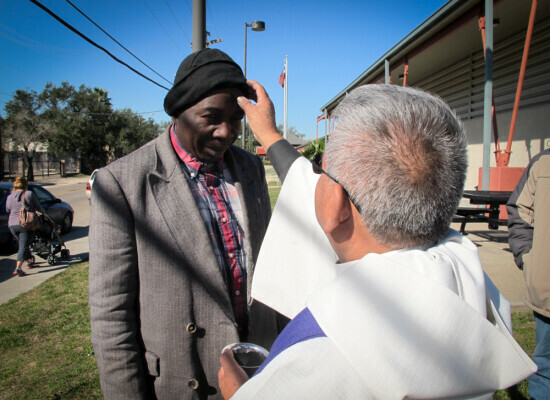 Palmer Memorial, Houston sits at the nexus of one of the world’s largest medical centers and took Ashes to Go to the street in front of several hospitals and doctors’ offices, even serving twenty-five homeless people that gathered in the park across the street. 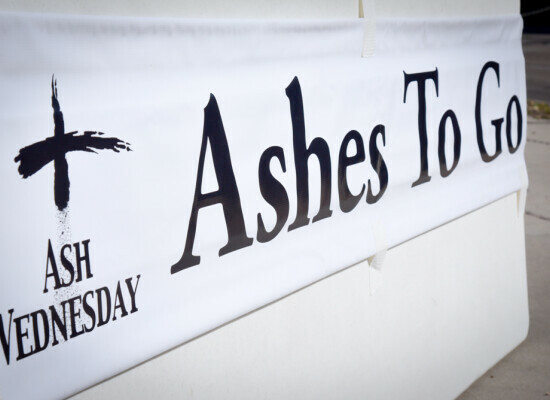 The tradition of Ashes To Go started in 2007 when the Rev. Teresa K.M. Danieley, then rector of St. John’s Episcopal Church, Tower Grove in St. Louis decided to offer ashes to commuters in the area. "It started sort of half-jokingly, but it became something pretty profound," Danieley told Religion News Service in 2012. Later, Episcopal churches in Chicago appeared on the commuter train platforms to impose Ashes to Go. Today, churches around the country and a few in the United Kingdom are following suit.